The cover of the August 9 edition edition of Time magazine featured a shocking picture of Bibi Aisha, a young woman whose nose and ears had been cut off. 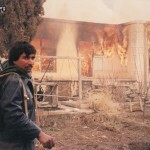 The photo was accompanied by the headline: “What happens if we leave Afghanistan”. However, what happened to Aisha took place in Afghanistan under Western occupation. France 24, Aug. 1, 2010: Malalai Joya, a leading Afghan activist for women's rights and politican who featured among Time Magazine’s 100 most influential people in 2010, spoke out against what she calls the manipulation of public opinion over the plight of Afghan women: There is no doubt that the Taliban are misogynist barbarians but the US can be a good match for them for the war crimes that it has committed in these nine years, killing around 8,000 civilians in their military operations. In return for allowing Time to publish her photo, Aisha was flown to the US for reconstructive surgery. However, although Time ensured her mutilated face was seen worldwide, they appear less keen for her voice to be heard. “I heard Aisha's story from her a few weeks before the image of her face was displayed all over the world”, Ann Jones, author of Kabul in Winter, wrote in the August 12 Nation. “She told me that her father-in-law caught up with her after she ran away, and took a knife to her on his own; village elders later approved, but the Taliban didn't figure at all in this account. In March, Wikileaks published a CIA document that outlined a strategy to counter growing opposition in Europe to participation in the US-led occupation. It recommended using a narrative about the oppression of women in Afghanistan that highlighted the Taliban’s misogynist violence while ignoring that of the pro-occupation warlords and the occupation armies. 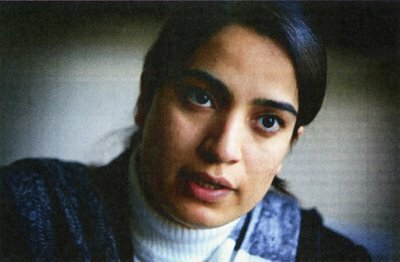 Afghan feminist Malalai Joya condemned the pro-war media manipulation. “During the Taliban’s regime such atrocities weren’t as rife as it is now and the graph is hiking each day”, she told France 24 on August 1. “Currently, Afghan people, especially women, are squashed between three enemies: Taliban, fundamentalist warlords and troops … The US used the plight of Afghan women as an excuse to occupy Afghanistan in 2001 by filling television screens, internet pages and newspapers with pictures of women being shot down or beaten up in public. At least 1,304 chidlren were killed during armed conflict in 2012, UNICEF said.